Bill Harris has made clear his view on cryptos several times. The former PayPal CEO has in the past described Bitcoin as the ‘greatest scam in history’ and a massive ‘pump and dump scheme.’ Harris recently reiterated his stand, further claiming that all the praise that Bitcoin has been receiving as an efficient payment method is fabricated and untrue. Bitcoin is going to go a whole lot closer to zero than to the moon as “there is no value there,” Harris stated in a recent interview. Financial technology should offer a better alternative to existing payment methods, and according to Harris, Bitcoin simply doesn’t. Harris came out swinging against cryptos, which he insisted are not the revolutionary solutions many claim they are. While the problems that cryptos claim to solve are genuine and need to be attended to, cryptos are not the solution. To begin with, most of the claims made about cryptos are untrue, Harris stated in an interview with CNBC. The cult of bitcoin makes many claims — that it’s instant, free, scalable, efficient, secure, globally accepted and useful — it is none of those things. The challenges that cryptos claim to solve are real, Harris explained, citing tedious, slow, inefficient and costly cross-border remittances as one of the issues. However, cryptos aren’t needed to solve these challenges. According to him, all that’s required are faster and more efficient systems. Brian Kelly, a crypto enthusiast who is the founder of a crypto-focused investment firm, was quick to jump to cryptos’ defense. BK, as he is popularly known, is the founder of BKCM LLC and one of the most vocal crypto proponents. He pointed out that while cryptos haven’t reached the expected levels in terms of scalability and speed, they are on the right track and that as more development takes place, they will eventually replace traditional payment methods. There’s no reason for anyone to use Bitcoin as opposed to existing technology, Harris maintained. Contrary to popular belief, other countries have more efficient and real-time financial systems than the US does, he pointed out. This renders Bitcoin useless in these markets, which have long been touted as the markets in which Bitcoin is being put to mainstream use. The world already has digital currencies which are better than Bitcoin, Harris stated. We’ve got digital currencies that are more stable, more widely accepted and have intrinsic value. We’ve already got them, the dollar, the yen, you name it. Bitcoin still has a long way to go if it’s to compete with existing fintech systems, Harris continued. At just seven transactions per second, it falls way behind other systems such as Visa and Alipay which can process 50,000 and 250,000 transactions in a second, respectively. 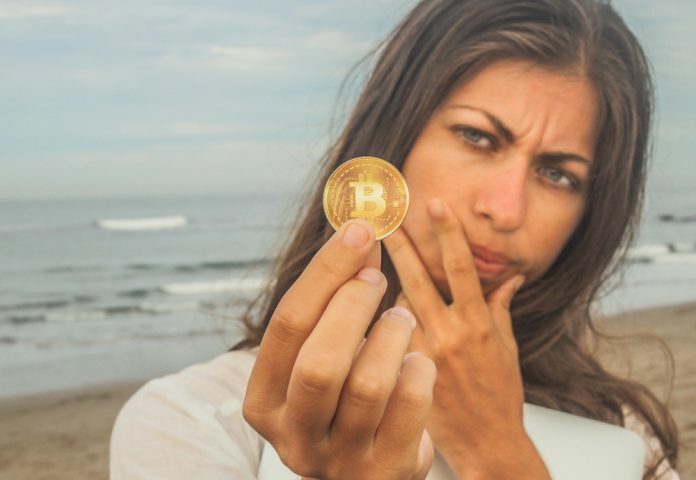 Emerging financial technology must be better than the alternatives, and there is “absolutely no reason why Bitcoin is useful.” For any technology to have staying power, it must have use cases and be competitively superior to its alternatives, but in Bitcoin’s case, the only use case is criminal use, he claimed. Its volatility alone makes it useless as a payment mechanism and ridiculous as a store of value. While Harris has been bashing cryptos, his fellow PayPal veteran Peter Thiel has been bullish on Bitcoin which he described as digital gold earlier in the year. Thiel, who is also one of the most renowned venture capitalists behind successful startups such as Palantir and LinkedIn, remains convinced that cryptos will facilitate day-to-day transactions in the future.